I'll be finalizing all of the summer swim schedules this week. If you were thinking about signing up, now's the time! Each session is listed as a time-range. After enrolling, students will be split into appropriate groups and assigned specific 10 minute private (infant) or 30 minute group time slots. Learn more and sign up at www.PBJellyfish.com/Incline-Rec. Secret Agents abound at Camp PBJ this summer. I have had (maybe too much) fun creating iSpy, secret codes, and laser obstacle courses for our spy themed camps. I'm working my way through a plethora of e-mails right now but wanted to get this out first since many questions are answered below. If you haven't heard back from me you can also e-mail Sarah at pbjellyfishinfo@gmail.com for a more timely response :). Hooray for summer days at the lake!! You can sign up for camps and summer classes by logging into the parent portal using the e-mail address you're on now. New students and families who have been inactive for over a year can register directly from the camp page and create a new account. Extra rope climbing- Reno camps will have a counselor available for belaying so that kids can get in more rope time and an option for extra climbing during free choice times. Mixed ages- To camps will run during the same weeks as the older camps to simplify family schedules. Campers will be split up by age groups for a greater portion of each day than in the past. Siblings are welcome to join the same group if desired. Of course, we will still have mixed age activities to encourage leadership and social development. Morning yoga will be aimed at younger kids with songs, short poses, and parent involvement. Afternoon yoga will be aimed at older campers with games and flows. Full day campers can choose which class(es) to attend. 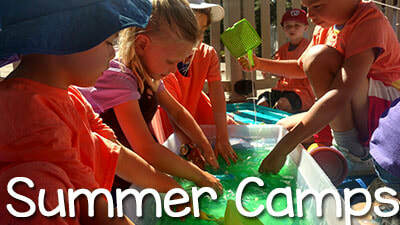 All camps will follow the same theme, but older kids will dive in with more difficult skills and intricate missions. The littles will just think they are balancing on a beam without worrying about the terror of being blindfolded and avoiding alligators below ;). Kids will be secret agents all summer, but each week will have a different themed mission. We'll be practicing self-regulation with Generation Mindful's Time-In curriculum. Our character building focus this year is "I am supportive of myself and I encourage my friends" because you can never have too much kindness. Incline Camp weeks are Mon, Tues, Thurs, Fri. Swim intensives available on Wed mornings during camp weeks. Mon, Fri held at Tahoe's Connection for Families. Yoga, games, maker space, active movement. Tues AM nature hike near Incline Recreation Center. Tues PM swim at Incline Rec. Thurs field trip to Basecamp in Reno for rock climbing and games. Parents provide transportation but carpools can be arranged. Reno Camp weeks are Mon-Thurs. Heihei has wandered off and been captured by crazy coconuts. Help bring the noisy chicken home! The pirates have stolen [a yet to be determined treasure]. We’ll have to infiltrate their ship to recover the loot! Who DID steal the cookies from the cookie jar? Search for clues in the kitchen to find the culprit! Toddler camps are very similar to Snuggly Seal Movement classes. Kids under 2.5 attend at a discounted rate and siblings under 15 months are free. Toddler camps are less structured with opportunities for children to interact with equipment in more of an "invitation to play" environment. Group songs and turn taking activities are scattered throughout the morning to provide tot-sized doses of attention building skills. Families are welcome to play all morning, snuggle up in the cozy corner, or leave early. You can judge what will be best for your little one and play it by ear! 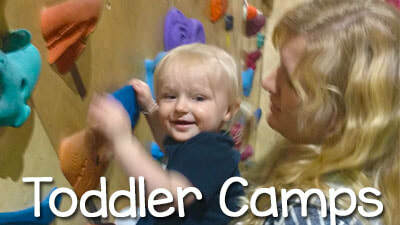 Our youngest toddlers start developing pre-climbing motor skills. Crawlers and early walkers start to traverse, down climb, balance, and listen to cues. The majority of this camp takes place on soft play equipment and sensory stations with less time spent on the vertical climbing walls. Ongoing classes will be on hiatus over the summer. Spring students can choose to remain in the same class for the fall or request a new time/day if available. Camps, intensives, and drop in classes will be available during this time. Weekday ongoing classes end 6/15/18 and pick back up on 8/8/18. Sunday lessons will continue through the summer with no classes on 7/8, 7/15. Drop in classes also available Sunday afternoons. Dates with low interest will be cancelled. Please sign up in advance if you know you'll be in town! These are listed as EVENTS in the parent portal and you can sign up for single dates. Ongoing classes end 6/15/18 and pick back up on 8/20/18. 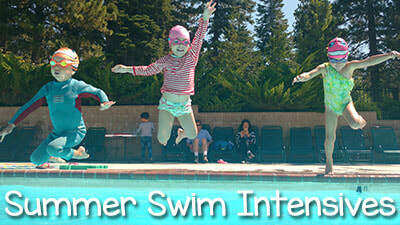 These are regular group swim lessons in short sessions to accommodate summer travel plans. You will sign up for a block of time, and then assigned an exact class time (10-30 min) after students have been grouped into appropriate levels. We strive to place siblings in back to back classes. Swim intensives are listed as CLASSES in the parent portal under the session "2018 Summer Intensives"
Each bullet below is listed as a separate class online.